Europe is one of the more affordable international destinations for travelers this summer. Travel advisors report that Americans are picking Europe as their summer travel destination because of the value they are receiving. There are several strong reasons to travel to Europe. Low oil prices, the strong U.S. dollar, and cheaper airfares have made Europe an affordable summer destination. Airfares, on average, are up to twenty percent cheaper than they were in previous years. Travelzoo, an online travel deal expert, believes that Americans could spend 40 percent less on their summer vacations than they did last year. To help encourage tourists to visit Europe, many hotels are offering incentives in the form of lower room rates and package deals. Individual countries and cities are offering additional incentives in the form of reduced transportation or event tickets. Which means the U.S. dollar will go even further. Travel analysts predict that lower travel costs will remain through the end of the year; they expect increases in 2017. So, if you have been thinking about it, now is the perfect time to go on a European vacation. While travel to Europe is appealing, concerns of connectivity and security may be on your mind. 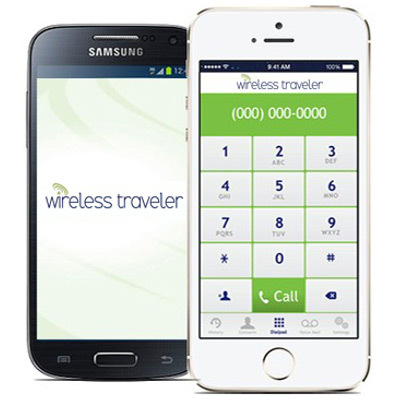 Wireless Traveler recommends carrying a Wi-Fi device with you, so that should the need arise, you’ll have “a backup that works anywhere and everywhere,” according to CEO Ian Benson. “Safety-wise, always have something that you can make a call in a moment’s notice.” See more of his recommendations in this recent TravelPulse article. Rome and London are at the top of international travel destinations for Americans, according to AAA summer travel bookings. While the threat of the Zika virus is keeping many tourists away from South America, the Caribbean and Mexico, many hotels, resorts, and cruise lines are offering steep discounts. In fact, Cancun is the #3 destination for international travel based on AAA bookings. No matter where you travel in Europe (or elsewhere in the world), we can help you stay safely and securely connected with our Wi-Fi Pocket Hotspot devices and Wi-Fi Calling App. Or, we can outfit your smart phone with a low-cost Global SIM card. And, if you’re traveling in England in July, please take advantage of our Wi-Fi Hotspot special – $79 for two weeks of unlimited data.